308 rifles are one of the most appreciated and well-liked rifles by a lot of hunters and shooting fanatics from all over the world. Being one of the best short range guns one can find in the market, it is undoubtedly the most adored one as it does not only boasts accuracy and better shooting experience, it also offers high power and smooth bolt-action to its users. So, read this guide as we provide you the clearest and concise 308 rifle shooting tips that will help you enjoy your 308 guns even more and improve your shooting experience. 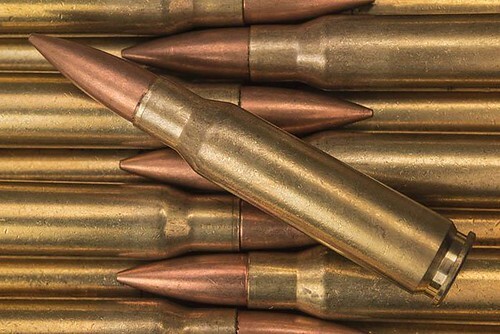 Let us established the fact that 308 guns are not the top choice when shooting for maximum distance and minimum bullet drop to finally settle the long-running debate of whether it falls under the long range turf or not. It is one of the highest performing rifles within 300 yards, but beyond that point, its efficiency will start decreasing. This being said, 308 has managed to stay as one of the best-chosen rifles all over the world amidst such limitations and is still considered to be a hunter’s best friend as it can still render excellent things in a number of situations. With this knowledge being known to all hunters and shooters out there, it is very crucial that you determine first the purpose of getting a 308 rifle to avoid dissatisfaction and frustration. Read on and let us discover ways and other practices that we can maximize the 308 rifle. No matter how high-grade and expensive your shooting equipment are and regardless of how often you clean a gun for better gun handling and experience, if you do not have the proper discipline and body positioning while shooting, you will still not be able to maximize your rifle’s full potential. So, follow the quick discussions below to achieve the most appropriate body positioning when shooting. 1. Your arms and shoulders should be relaxed, and the arms should be extended fully if possible. 2. Your dominant hand’s leg side should be positioned toward the rear part of the shooter while making sure that there is a comfortable distance between both feet. 3. Torso should be slightly leaned forward to gain more balance. Provided that you are using the best scopes that the market offer, there is nothing more important than knowing how to properly align and adjust them as it provides you the correct orientation and location of the target and the location of the gun. The following are the clear steps to align the scopes. 1. Align the front and rear scopes visually after holding the gun at arm’s length. 2. Make sure that both of the front and rear sights and the gap of the light between them are leveled to each other. 3. Once they are equally aligned with each other, place them on the target where you want the bullet’s impact to head. Your gun is your ultimate companion throughout your whole hunting venture. Thus, it is only imperative for you to get to know it from its very depth since this will give you more ideas with its capabilities and limitations. With this, you will be able to understand its different parts such the trigger and determine if there is something wrong with these parts. Knowing your rifle ensures the both of you that you have each other’s back especially during hunting and competitions. So, learn more about it, take extra care in cleaning your gun and learn to reload it without looking. You can tear it down and assemble it back all you want as long as it will let you know more about your favorite weapon. 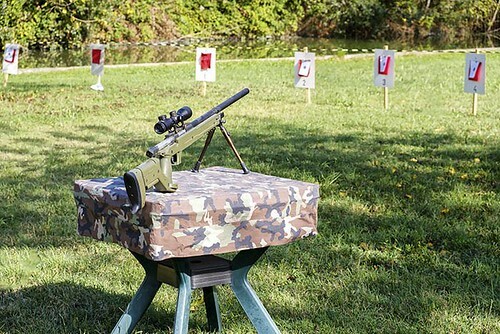 Although commonly used, shooting from a bench rest is a poor way to practice. You should get away with the cliché belief that practice makes perfect as regular practice using bad shooting habits will still result in poor shooting skills. Thus, it is important that you develop your way of shooting basing from your strengths and weaknesses. Once you have already determined your strong and weak spots, you can start working on your weaknesses and eventually overcome them. Most of the time we get too hang up with the technical tips that we often forget to correct the basic things that come from within. It is good to be always mindful of the technical needs in the shooting industry such as the use of proper equipment and suitable accessories with them, but this should never cloud our judgment and evaluation of the simple things that we can improve on ourselves. Above are the practical and simplified tips for better shooting using the 308 rifles. We only aim that this article has provided you the needed knowledge that will help you understand the important things cited above and will help you have a better and improved shooting skills. Thanks for sharing this post, I like all given point and would like to share my opinion as well. Regular practice is the best way to improve your shooting and you know that any type of computer can not help you. 308 gun are used for long range targets. You must know your point of target and estimate the wind direction. Learn your strengths and weaknesses and develop your skills.